The third annual Nine Lakes Wine Festival has been announced for May 31 – June 1, in beautiful Melton Lake Park, Oak Ridge, TN. This outdoor festival celebrates Tennessee wines and ciders, 100% locally made, in two days of events. 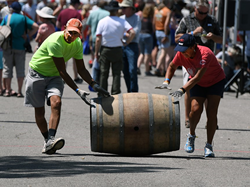 The Barrels of Fun Charity Race at Nine Lakes Wine Festival invites the public to roll a barrel on behalf of their favorite East Tennessee charities. “The Nine Lakes region of Tennessee is home to some of the best vineyards in the state of Tennessee,” said James R. Riddle, president of the Appalachian Region Wine Producers Association, which produces the festival. Grand Tasting, Saturday, June 1, 3 to 8 p.m., on the waterfront at Melton Lake Park. This event features 17 wineries pouring 100+ Tennessee wines and ciders, with live music and a “Barrels of Fun Charity Race,” benefitting up to 24 local charities. The public can sign up to roll wine barrels in support of their favorite Tennessee charities for fun and competition. The VIP Taste of Gold, is Friday, May 19, 6 to 8:30 p.m., Melton Lake Park, Oak Ridge. Featuring only the best in Tennessee wines, this all-inclusive evening features gold-medal and reserve wines, gourmet small plate foods and live music by the David Slack Trio. Tickets for both events are sale now at http://www.NineLakesWineFestival.com. Now through March 31, the public can enter to win a “Wine Weekend Giveaway” to the festival, which includes Nine Lakes Wine Festival tickets for two to both events, free lodging for two at an area sponsor hotel, rides to and from the festival, and a $25 gift certificate to purchase wines at the festival. Nine Lakes Wine Festival is just 30 minutes from downtown Knoxville, and its name reflects the nine TVA-made lakes in the greater Knoxville region. The 2019 Nine Lakes Wine Festival is presented by Celebrate Oak Ridge, a nonprofit organization bringing events to the City of Oak Ridge, Tennessee, including the Secret City Festival. The Appalachian Region Wine Producers Association emphasizes wine quality and cooperative tourism, and promotes three wine trails in the region: Great Valley Wine Trail, Foothills Wine & Cider Trail, and Rocky Top Wine Trail. Free parking is available at Nine Lakes Wine Festival. For more information visit http://www.NineLakesWineFestival.com. 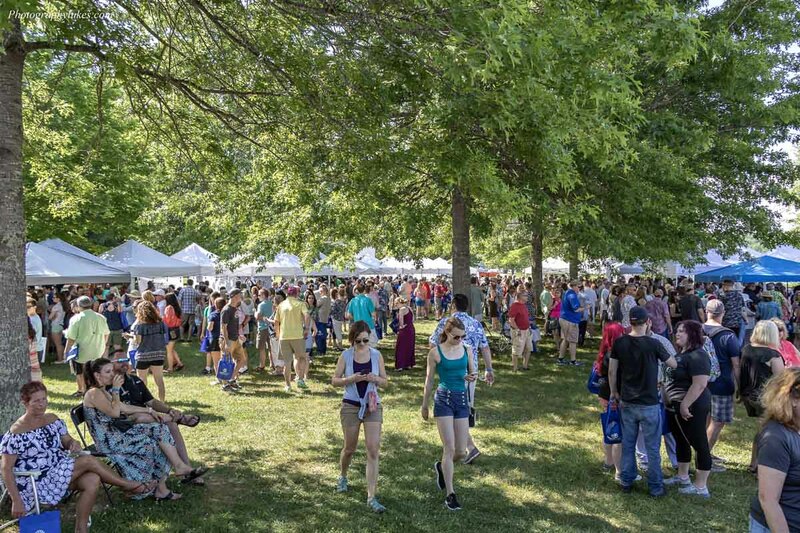 Nine Lakes Wine Festival draws a crowd to Melton Lake Park in Oak Ridge, Tennessee, to celebrate 100+ Tennessee wines and ciders.Crowd at Nine Lakes Wine Festival 2018.